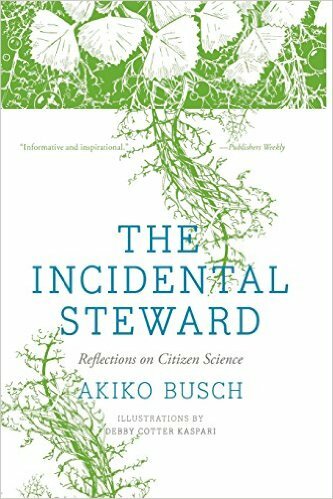 " I am grateful to all of the scientists for reminding me about the value of uncertainty; that questions are often more important than the answer; that the facts of the natural world are overwhelming and contradictory; and that there are rarely clear answers." "Maybe another way of saying this is that there are two ways of paying attention: when you know what yo are looking for, and when you don't." "In Chinese folklore a bat represents the five great happinesses: health, wealth, long life, good luck, and tranquillity." "The only thing I was beginning to grasp for sure was what had brought me here, which had something to do with the chance to restore clarity to what is cloudy and cluttered in our lives. That it is possible to weed something so fluid as river water speaks to our ability to put some kind of order to those things in our lives thought to be too quick, too changeable , too transparent to require our care." "Ground truth means what is 'on location,' what is real, what your eyes and ears tell you rather than what the sensors suggest." "But none, I knew, is still data; zero can be data, too. I had heard this statement more than conce, and it's a good lesson: when we don't see anything or hear anything or say anything or think anything, when we have nothing to go on, that, too, is information. This seems to be a known fact that transcends the boundaries of discipline. In music, silence can be as resonant as sound; in mathematics, zero can have the authority of a number. Robert Ryman's white canvases are a primer in the richness of white space, Merce Cunningham's choreography an inquiry into stillness. Waiting for Godot, one of the most celebrated plays in the English language, is famously described as the play in which nothing happens. 'I have always been as interested in what is not there as what is there -- the void, the interior spaces, the things that you don't see,' the designer Marc Newson has said. And in the words of abstract painter Ellsworth Kelly, 'The negative is just as important as te positing.' Absence can be as powerful as presence."